Lately more and more of the infographics I review have been much better in terms of graphic design and stylistic presentation. And that is a good thing and this infographic about the disparity between the female vs male wage scale continues this positive trend. The graphics are a bit whimsical and dare I say it, feminine? The color palette is friendly and matches a soft background with bright and vibrate colors used in the graphics and charts. The male and female figures may be clip art but they match well with the infographic and don’t feel forced. A nice font choice for a condensed typeface, but it does get a bit hard to read at smaller sizes, which is why most infographics are so large. 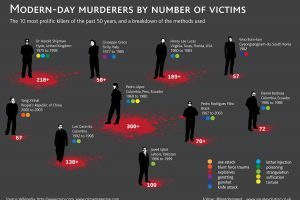 The computer screen is not the best place to view an infographic, but it is an easy medium to use for wide-spread distribution. The amount of data isn’t too much and it is well organized. The subtitles make it clear what each section is about. Comparisons are made between the top paid male CEO, Gregory Maffei of Liberty Media at $87.5 million and the top paid female CEO, Carol Bartz the CEO of Yahoo at $47.2 million. Nice choice of blue for the male and bright pink for the female. Subliminal much? Sadly, for women, only 3 out of 100 women are employed at Fortune 500 companies as CEOs. But, the average salaries for women with MBAs is actually higher for women at $78,254 vs men’s salaries at $74,820, at least in the United States. So it isn’t an all doom and penniless future for the ladies. But in Europe men with MBAs were almost paid double what their women counterparts were paid so the dark ages aren’t fully over. 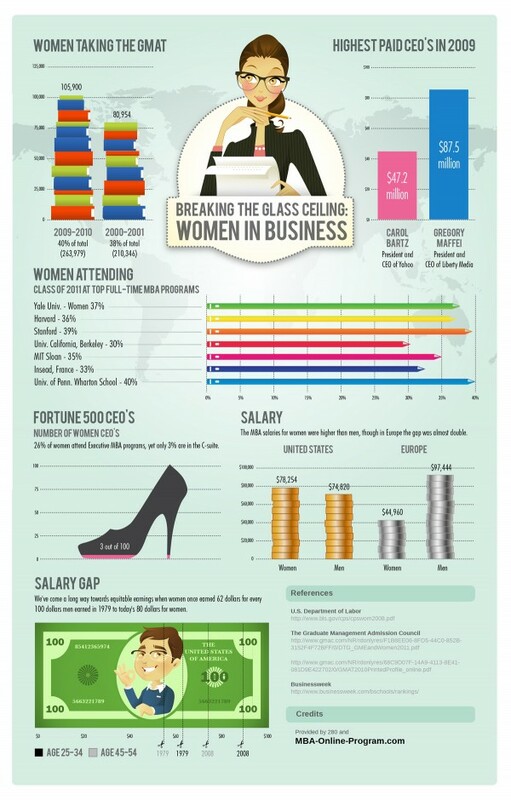 So the good news is this graphic shows major strides for business women, but women looking to run the largest companies in the world should expect a hard climb to the top. A thoughtful presentation that uses negative space well and makes good decisions concerning color and illustration. Good collection of information and supports the fact that women are often underpaid, but are closing the financial gap in the business world.